West Texas WIND! Has your fence been affected by a wind storm? Is your fence in need of repair or replacement? Is your wood fence need new fence post? Want to create some privacy with a new privacy fence? Need a fence for your commercial use? We can do that and more! Just give us a call today at 806-686-4737 or fill out the form on the right! Call us today for all your fencing needs. Something not on our list?? we can handle it. Big or small we can and will do them all. Give us a call you will be glad you did. We are your Lubbock Fencing Specialist. 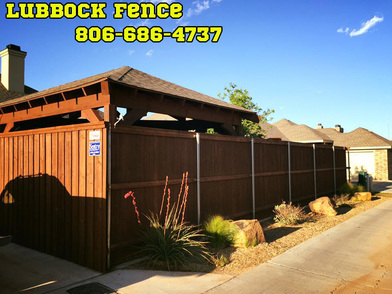 Give your Lubbock Fencing Contractor a call today! 1. 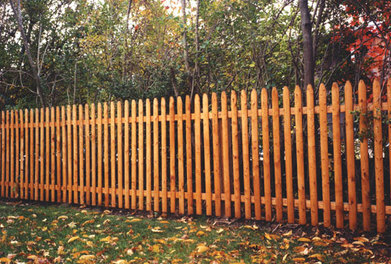 Our wooden fence styles. 2. Our wood fence design styles. However complex, decorate or more- nothing is too difficult for us. With our many styles of fence and designs plus with a wide variety of different caps and posts, your choice will look different from other fence options. 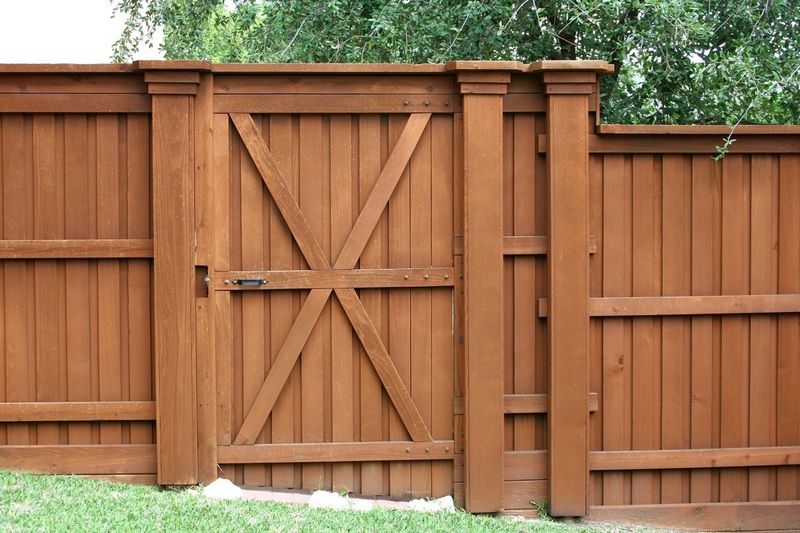 A few things you need to know when selecting the wood for your fence. Take into consideration the cost, color, appearance, quality, maintenance, and durability. 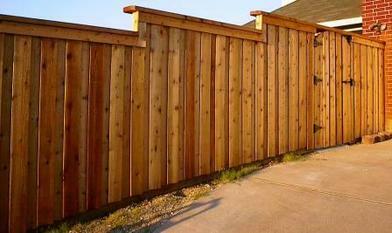 You cannot go wrong to have a cedar fence on your property. Not only will you enjoy its deep rich color, but take satisfaction in knowing that is a durable weather fence and termite resistance. Redwood, which is very popular, has a distinctive pink color which grays slightly over time. It is a very hardy wood and is naturally moisture moisture and termite resistant. To help your wood fence last longer we will treat the fence with a water repellent to help them resist warping. Have satisfaction in knowing that your fe﻿nce will stay beautiful and last for years to come. We certainly want to know your personal taste, level of privacy and protection for your kids and any pets. if necessary. Our goal is to install the best fence in the entire neighborhood and have you loving to be outside because of the beauty of your fence. We also specialize in all types of gates, and have a wide variety of ornamental handles and locks to choose from. 2. We are reliable and responsible. Your fence and its perfect completion is our primary focus. We will arrive on time, we call to make sure your schedule is accommodated. We will leave your property better than the way we found it. We are fully licensed and insured and can be verified immediately upon request. We are financially stable and have a proven track record. 3. We have the most experienced and trusted installation crews. Our staff is second to none! We are fully insured. We can be trusted because we meet the standards of our city and will work endlessly to meet yours. 4. The Best Local Team: We are locally owned and operated. We live in Lubbock, and have called Lubbock home for years. We hire only local workers, because we know that working for Lubbock from Lubbock matters most. We also serve the surrounding areas: Midland, Odessa, Shallowater, Wolfforth, Slaton, Post, Idalou, Brownfield, Levelland, Littlefield, Taoka, Post, Snyder, Seminole, Muleshoe, Floydada, and so much more. Give us a call to see if we service your area. What ever your questions or fencing needs, give us a call at 806-686-4737 Today!!! Fill out our free quote form an one of our staff will call your back promptly.